Carolyn Underwood, from London, is celebrating after winning £500 in a competition ran by the UK’s leading wheelchair accessible vehicles provider, Allied Mobility. To keep up to date with all the latest disability related news, events and competitions from Allied Mobility ‘like’ the company’s page on Facebook (www.facebook.com/alliedmobility) or ‘follow’ them on Twitter (@alliedmobility). 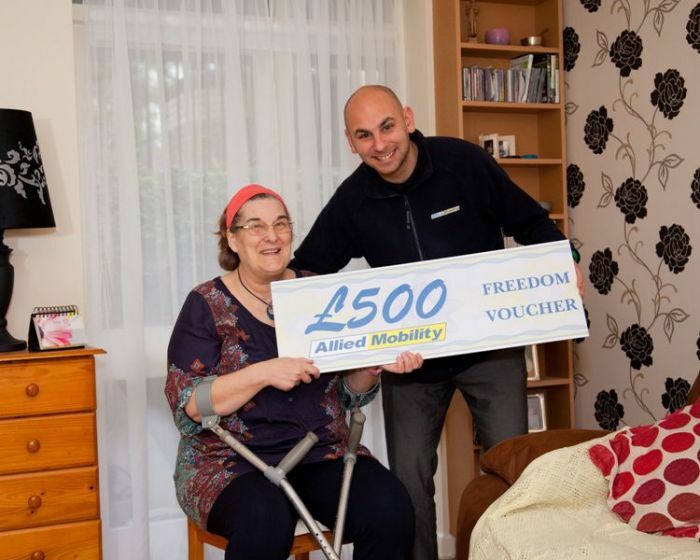 Be the first to comment on "Lucky Winner Scoops £500 with Allied Mobility"